Decent portions, cheap and very well managed. 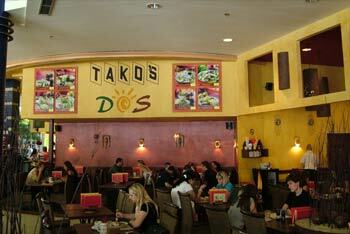 Those three characteristics best describe restaurant Takos. The two Takos restaurants (one in Europark shopping mall and the other in the old town) are definitely among the most popular eateries in Maribor. Distinctive decorations reveal the Mexican nature of the restaurants and I've heard Mexicans saying that food in Takos is actually pretty close to the real stuff. 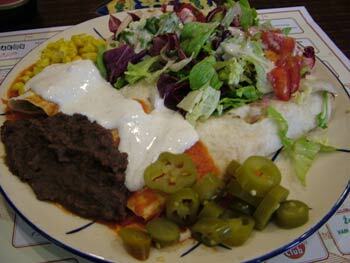 I haven't been to Mexico yet so I can't judge this but whatever the case I love their food and we have lunch in Takos at least once every single time we visit Maribor. 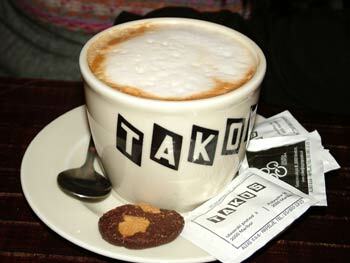 having a coffee or a meal at restaurant Takos. The owners have extended Takos in Europark a few years ago due to a sever lack of space but even now this restaurant is heaving with hungry and thirsty shoppers. 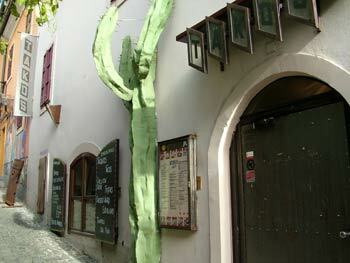 Many foreigners shopping in Maribor are particularly surprised to find such a good restaurant in a shopping mall. fresh salad and jalapeno chilies. 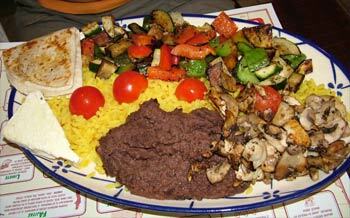 vegetable and champignon stir-fry, rice and fresh tomatillos. ...and boy if that place isn't cheap! We paid $23 for two people (see above) including two bottles of beer, juice and coffee with their specialty cookies. What a restaurant! No frills prices and decent food - excellent before or after my shopping expedition in Maribor city center or Europark shopping mall!